Planning to implement e-learning for the first time? Would you like to know “How much does it cost to create rapid e-learning?” Before looking for a quotation for e-learning course development, it is a good idea to know the factors which determine the cost of e-learning course development. 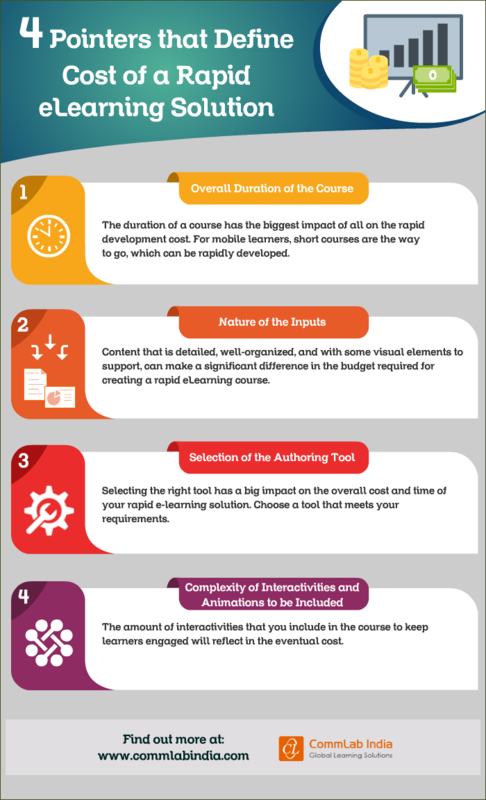 There are several factors that come into play; check our infographic for four big contributors that will directly affect how much your rapid e-learning solution will cost.